SleepNet's MiniMe 2 Nasal Pediatric Mask with Headgear is a nasal mask designed for users 2 to 12 years old. A Touchless Spacebar™ is part of the updated design to help young patients stabilize and seal their mask. This updated version carries over the adaptable AirGel™ cushion, which is positioned at the base of the spacebar for optimal comfort. 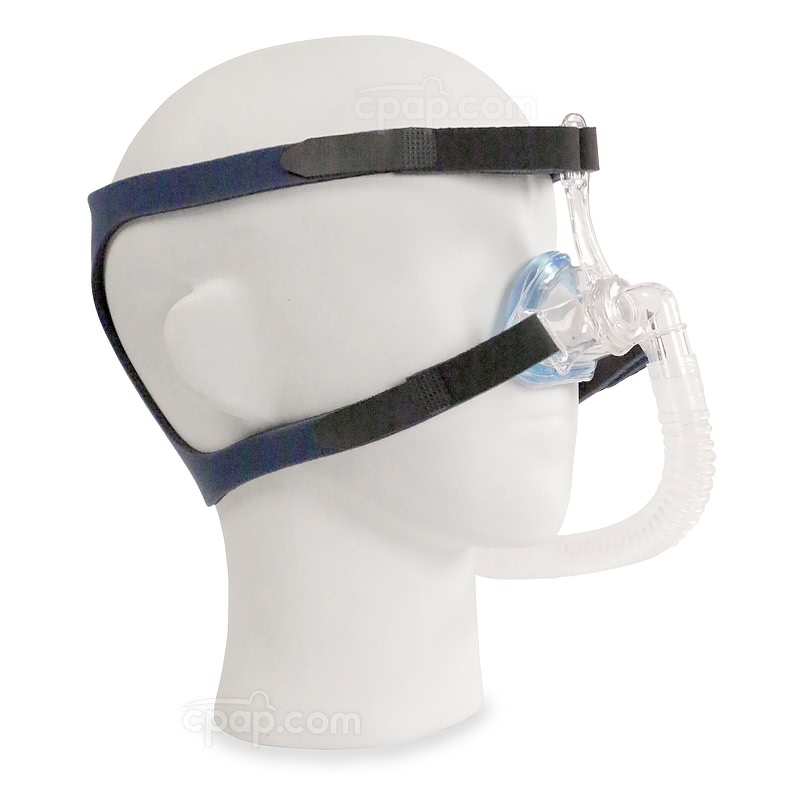 The MiniMe 2 Nasal Pediatric Mask with Headgear from SleepNet is available in two sizes: Small/Medium and Medium/Large. Custom Fit Technology™ and Memory Wire™ are implemented into the cushion to help improve the fit of the mask. This mask is intended for those 2 to 12 years of age. The Touchless Spacebar™ is designed to steady the headgear as adjustments are made, as well as maintain the placement of the outer shell over the nose. Please Note: The Touchless Spacebar™ is not intended to sit against the skin. 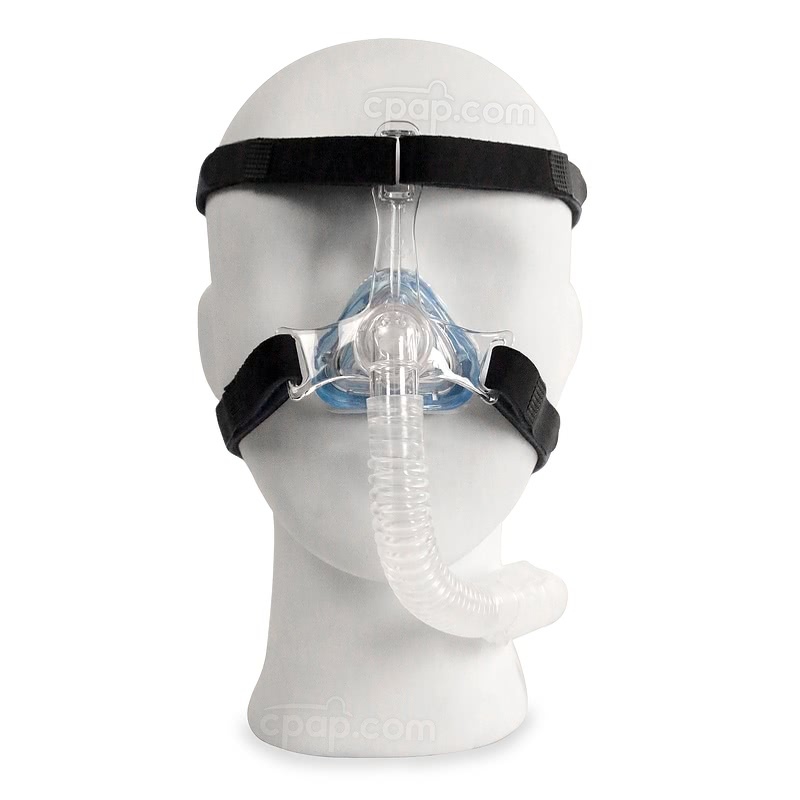 Instead, adjust the mask and headgear to keep the support visibly raised above forehead. The headgear straps will surround the crown of the user's head from the central outlets located on the spacebar. 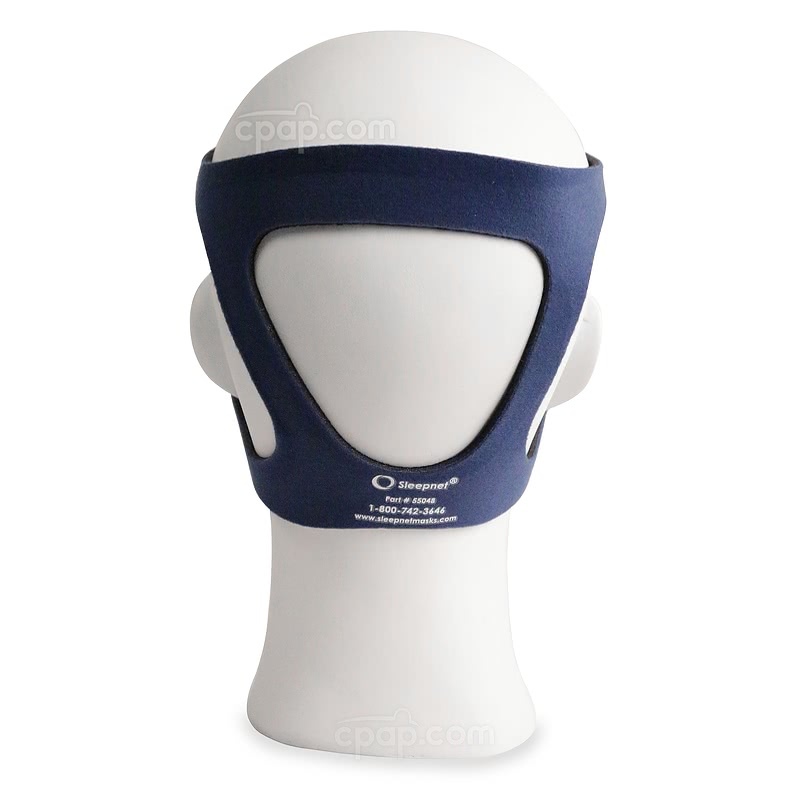 This design is intended to relieve the user from covering their eyes or mouth during sleep therapy. Custom Fit Technology™ is featured in the outer shell of the mask to help the user modify the AirGel™ cushion and support. These adjustments are designed to help the mask sit comfortably on the contour of the user's face. Memory Wire™ is incorporated to preserve the shape of the cushion. If the cushion does not fit flush, lightly tap the Memory Wire™ to re-shape the mask and adhere it closer to the skin. The MiniMe 2 is offered in size Small/Medium and size Medium/Large. 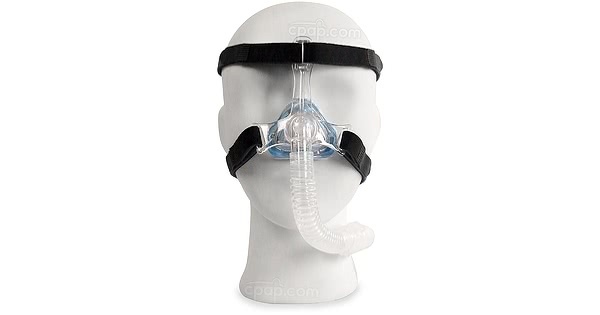 A range in sizes may increase the comfort level for the user as they are able to choose the mask most applicable to their nose shape and size. 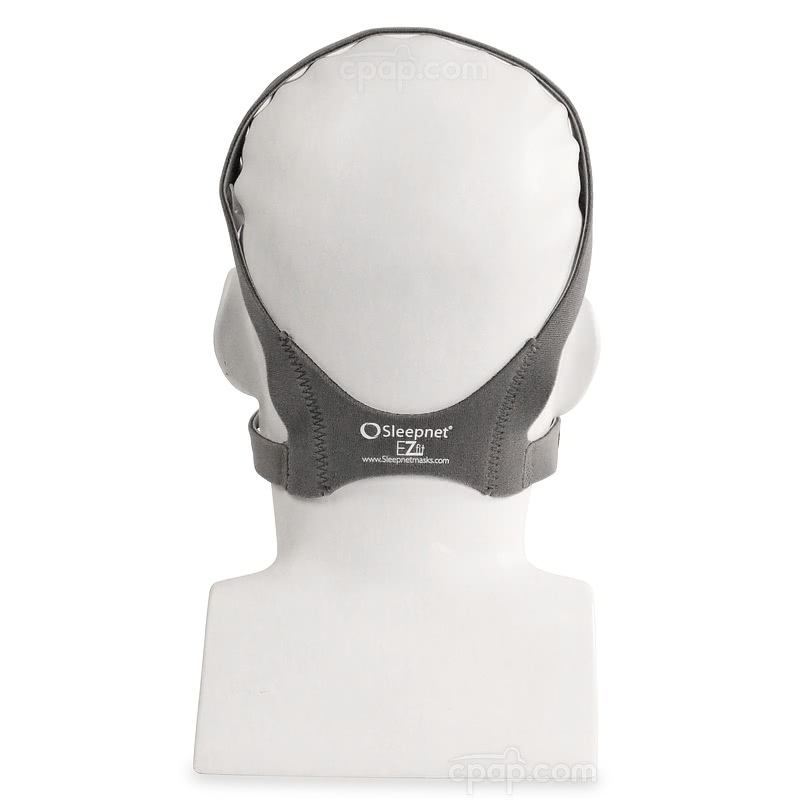 Please Note: The Headgear for MiniMe 2 Nasal Mask is available in two sizes: Small and Large. To choose the proper cushion size, print out the sizing guide found on this product page. Cutout the interior of the triangular shape, and place your nose through the hole. Position the cutout with the narrowest point at the bridge of the nose. The base of the cutout should fall comfortably below the nostrils. The size is incorrect if the nose is cut off by the paper or surrounded by a large space. Secure the hook and loop tab onto the headgear strap . Please Note: The strap will be adjusted after the mask is in place. Do not worry about tightening the strap at this time.